WHEN: Tuesday evenings: 6:00 – 8:00 p.m.
Sundays: 10:00 a.m. – 12:00 p.m.
Have fun creating magical pastel paintings with local artist Debi Pettigrew. Learn how to paint wildlife, animals, pets, landscapes, seascapes, still life and portraits! Classes will focus on various pastel techniques to achieve textures, contrast and colors as well as learning how and when to use hard and soft pastels. This class encourages every student to choose their favorite subject matter and to develop their own unique style. Join us Tuesday evenings or Sunday mornings in the Art Education Center in the Art Gallery of Viera. 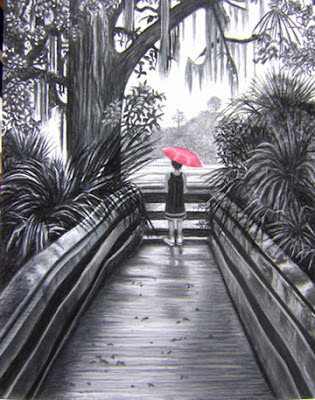 The “Painting with Pastels” classes will be held at the Art Gallery of Viera, located in “The Avenue” off Lake Andrew Drive. You can register for classes by contacting Debi Pettigrew, (321) 749-1153 or dpettigrew@cfl.rr.com, or The Art Gallery of Viera, (321) 504-4343. Supply list will be provided upon registration.